What’s better than finding something that will entertain the kids this summer? Finding something that is free and will entertain the kids! It’s pretty cool for adults, too. 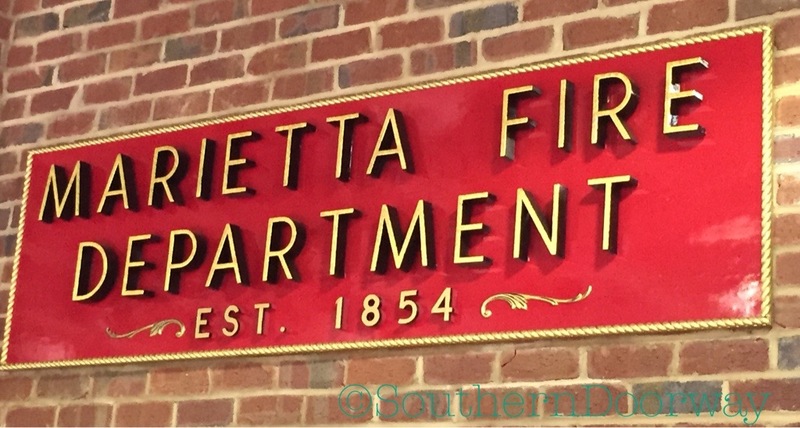 The Marietta Fire Museum, near Marietta Square, is part of fire station #1. 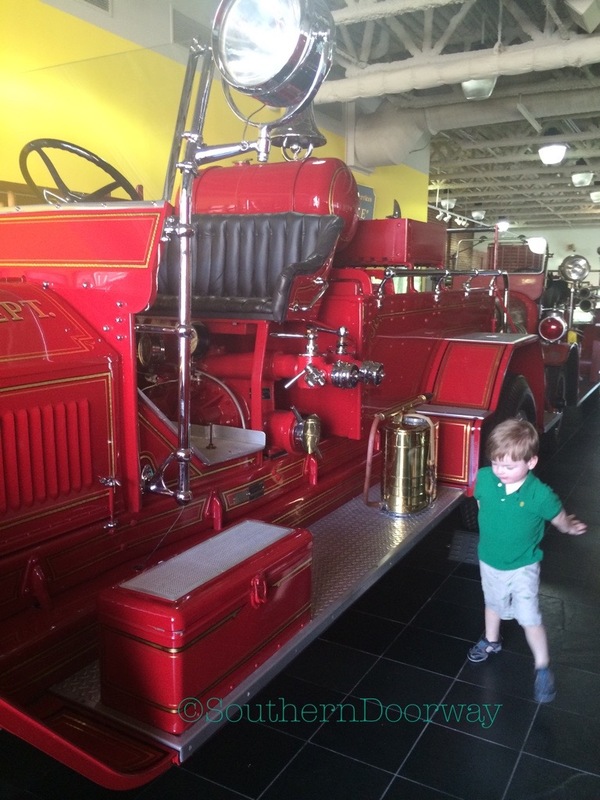 Even though we looked around on our own, a couple of on-duty firefighters asked us if we had any questions and gave my son a helmet. They also provide tours. 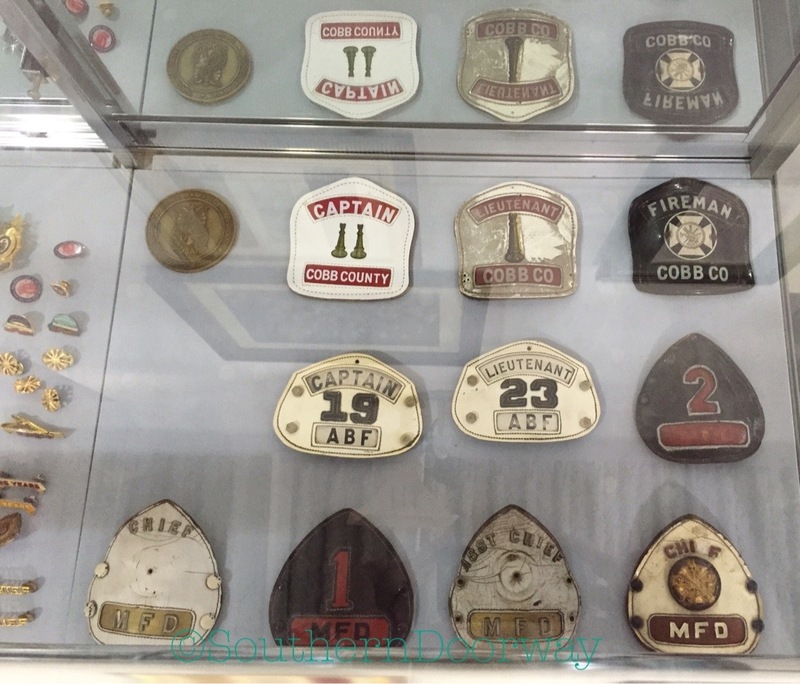 It’s not a huge museum, but it’s still two floors of memorabilia sure to please any fire department enthusiast. 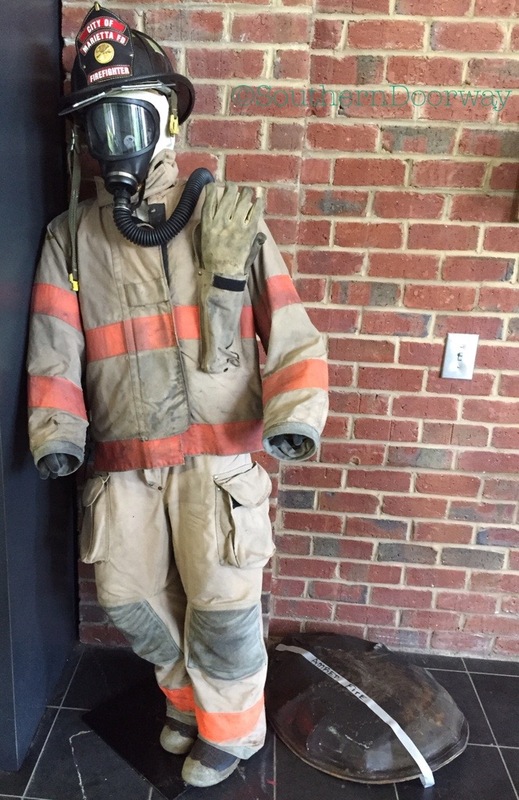 Check out the antique hoses, helmets and other apparatus. 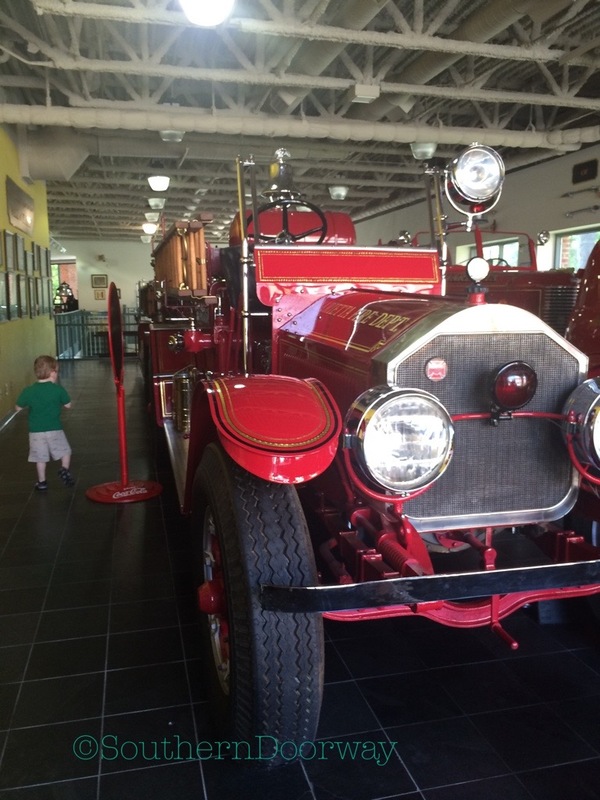 My son was partial to the old trucks on display — an 1879 Silsby Steamer, 1921 American LaFrance pumper, 1929 Seagraves pumper, 1949 Pirsch ladder truck and 1952 Chevrolet rescue truck. Being a few blocks from the square, parking isn’t ideal. There are parking decks (free at night and on weekends), but it is possible to scout out parking on the street. 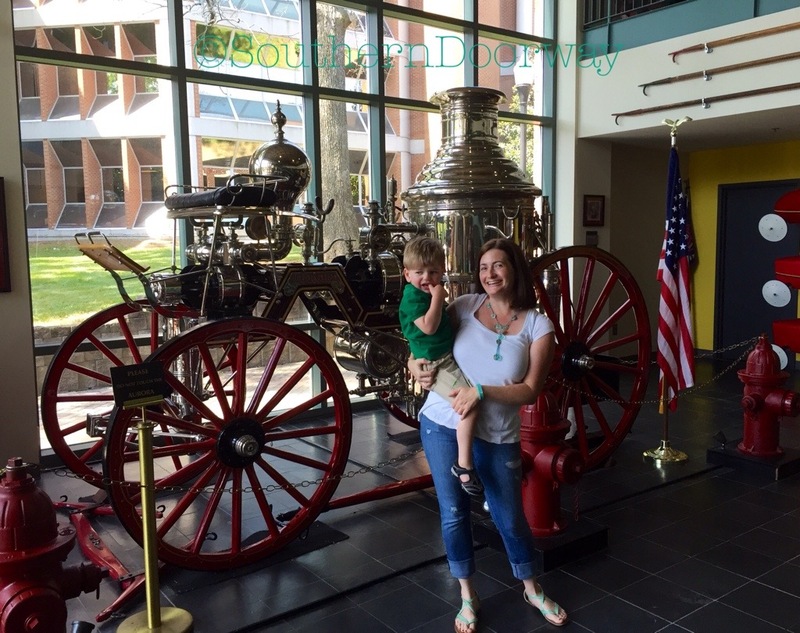 We thought we might have to park closer to the square and walk, but ended up finding a lot without parking restrictions (at least as far as we could tell) by the courthouse and went in the front door, right by the fire truck bays. They are open Monday through Friday from 8-5. Weekends are by appointment. 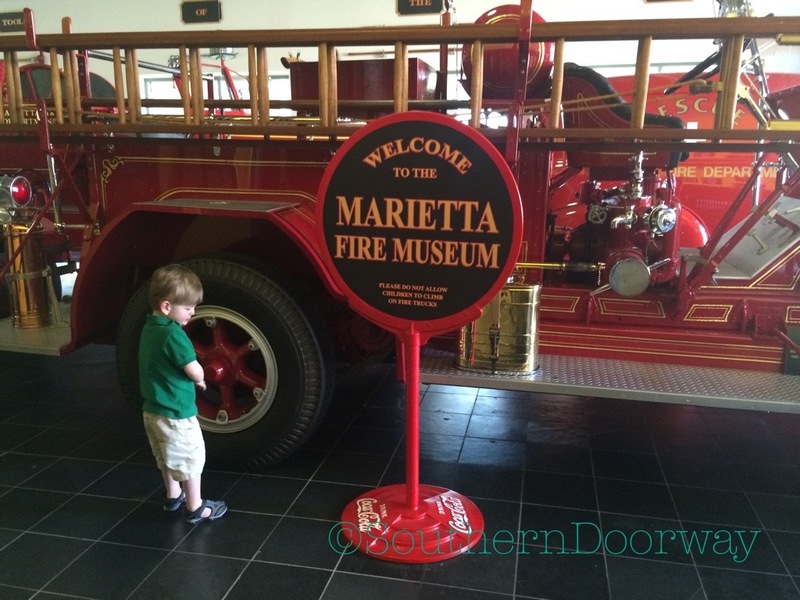 Rebecca, we would love for you to come by and visit the newly re-modeled Marietta Fire Museum with your children. 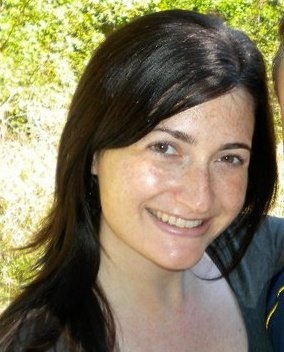 Thank you for the excellent article you published.